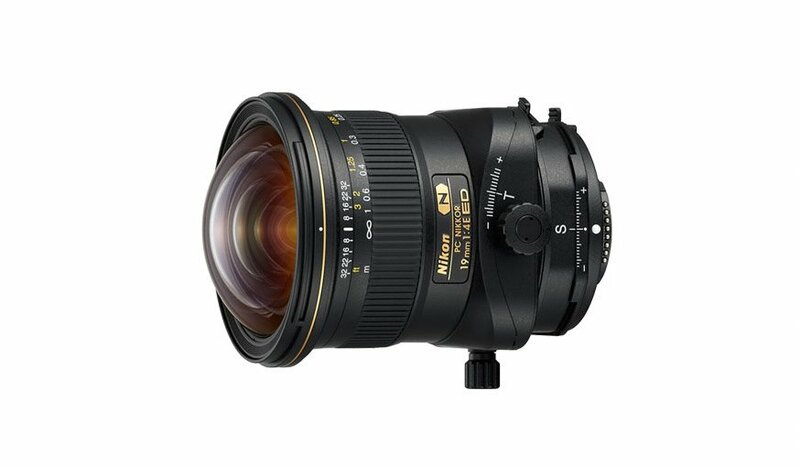 Get ready for control with the PC NIKKOR 19mm f/4E ED tilt-shift lens. As the first PC-NIKKOR to employ two PC rotation mechanisms, this lens takes flexibility to a new level. Ideal for architectural, fine art, and landscape photography, it’s made for photographers who have a keen sense of space. Both tilt and shift can be engaged individually, and in combination, essentially replicating the movements of a large-format view camera. The ultra-wide angle of view allows you to represent the true proportions of a scene, or take in more of the structure and less of the foreground. The optical design ensures outstanding image quality across the whole frame. TAKE CONTROL: 19 MM ULTRA-WIDE-ANGLE PC NIKKOR TILT-SHIFT LENS. Offering a powerful combination of picture angle and image quality, this FX-format manual focus lens with perspective control allows superb compositional freedom. Its unique tilt, shift, and double-layer rotation capabilities give you extensive control over the lens’ focal plane. Easily shift to create images unaffected by convergence. Or tilt to create landscapes that are sharp from the foreground to the background, without the need to close the aperture. The 19 mm angle of view is ideal for large structures and spaces (when attached to a DX-format digital SLR, the angle of view is equivalent to that of a lens with a focal length of 28.5 mm in FX/35mm format). Like all NIKKOR lenses, the PC NIKKOR 19mm f/4E ED delivers images with exceptional clarity and sharpness. Thanks to its unique optical construction, the distortion common in wide-angle lenses is minimised, even at the edges of the frame. Two aspherical lens elements greatly reduce coma and other types of aberration. Three extra-low-dispersion glass elements minimise axial chromatic aberration. Nikon’s Nano Crystal Coat virtually eliminates ghosting and flare throughout the frame, even in backlit situations. Two PC rotation mechanisms make it easy to capture images that perfectly reflect your vision. You can rotate the lens around its own axis, and adjust the direction of the tilt and shift independently of each other. Tilt can be made parallel or perpendicular to shift, useful when you want to avoid the keystone effect in architectural images without the need for post-edit cropping. The whole lens can be rotated up to 90° in either direction, with click stops at 30° and 60°. When rotating tilt relative to shift, the lens can be rotated up to 90º with a click stop at 45°. You can also lock the lens at ‘0’ and use it as a 19 mm manual-focus lens. The sturdy shift mechanism allows for smooth operation as you adjust perspectives. There is no need use the shift lock mechanism to fix the lens position, thus avoiding unnecessary camera movement. The lens is compact and weighs approximately 885 g. And it boasts Nikon’s fluorine coating, which actively repels water, dust, and dirt without compromising image quality. The coating is applied to the extreme front lens surface, where it makes the glass easier to clean without damaging the surface.